You know her as Twanda Black, the Host of “Good News Gospel” every Sunday from 7 am to noon, but there is much more to the Tampa native. She is a mother of two young men, an ordained minister, a published writer, an avid reader, and an amateur photographer. 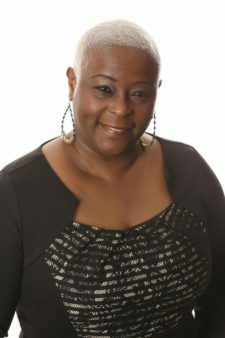 Twanda is also the Public Affairs Director for The New KISS 104.1 where she serves as the liaison between the station and the community and hosts the public affairs talk show “Business in the Black” every Sunday from 5am-7am. Twanda loves that she gets to use her Public Relations/Communications degree earned at Berry College on a daily basis. “I love interacting with different people and organizations, it makes for interesting days,” says Black. Twanda volunteers her time and talent to various organizations, but her heart belongs to issues of the elderly, such as long term care, conditions of nursing homes and quality of life. She can be found in and around Georgia hosting ceremonies, parties, shows, church events, awards dinners, and other benevolent causes. She was recently honored as one of Atlanta’s Top 100 Women of Influence by the Atlanta Business League. Twanda is spreading her wings to television and is working on her first show on the Christian Television Network.